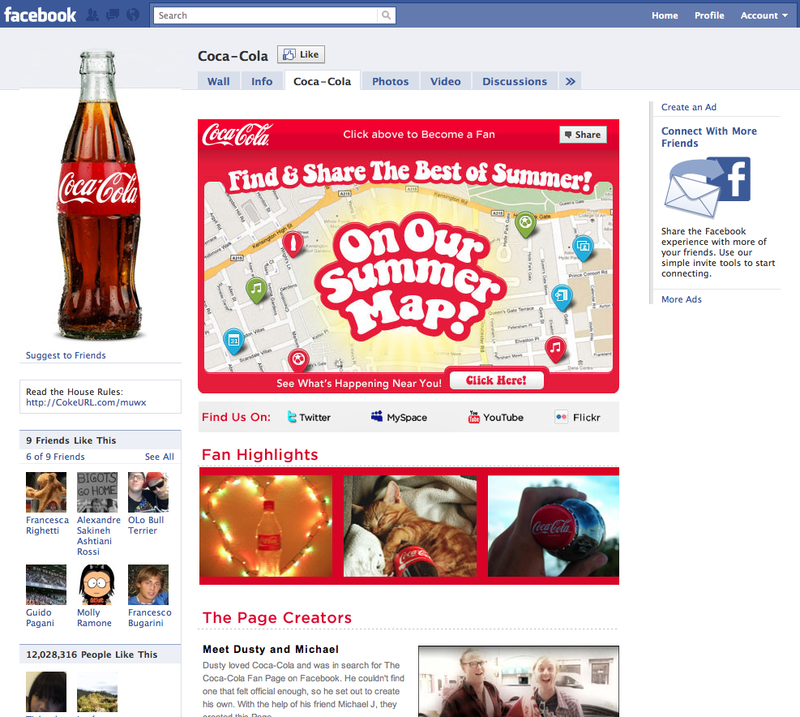 Nowadays two very common ways of social affiliation with a brand are the Facebook fan page and the Twitter followers. Even if these two ways of affiliations are often considered similar, brands should be very careful in using them in order to channel marketing communications. 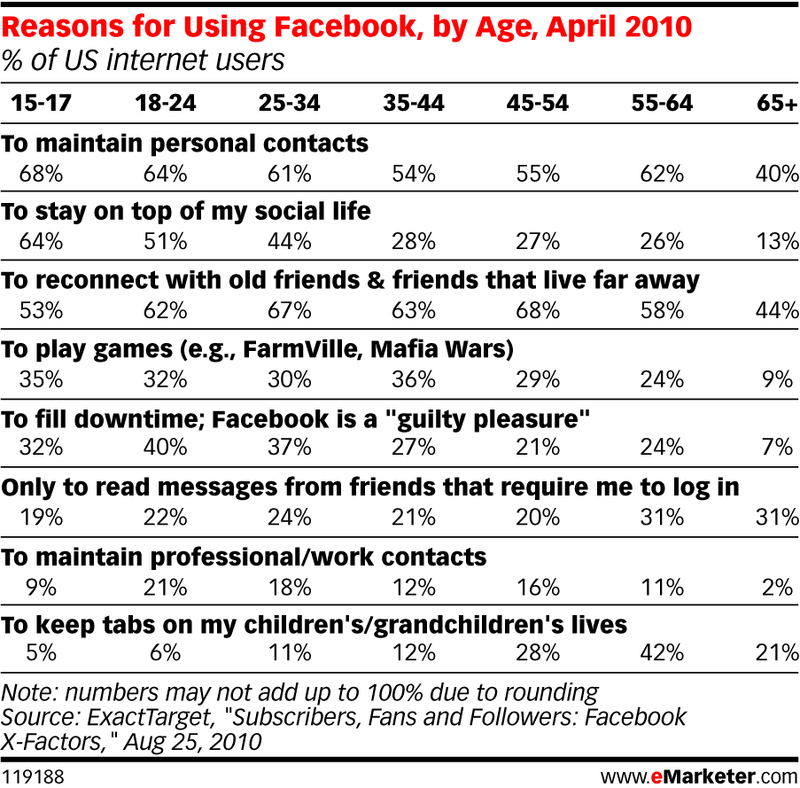 As shown in a recent eMarketer report, a study conducted by ExactTarget in August 2010, indicates that the reason why a user demonstrates a brand connection on Facebook (alongside personal interests, experiences, pictures and relationships with its entourage), is because there is such an high affiliation with that brand, that its display with it is considered part of the self-expression intended on a personal profile page. Since the main reason why people use Facebook is for “social interaction” (see table below), it means that they shouldn’t be cluttered up in their personal space with an overflow of communication from the brand. If a fan of a brand would like to have information about a brand and its news, it’s probably going to check out the company website or Twitter page rather than their own Facebook account. This doesn’t mean that these fan on Facebook should be untapped. First of all a Facebook fan page gives you a perfect indicator of the online reputation of your brand. Moreover the people that show affiliation with a brand as a way of self identification, are going to be the perfect brand advocates and they should be involved in a social marketing initiative. But if a brand wants to find it’s next marketing target they shouldn’t focus on their Facebook fan (they are going to be the most loyal to them), rather focus on whoever is not on that list. Previous Previous post: Viral campaigns don’t exist: there’s only a “viral factor”!